Thank you Tim Hetzner for reminding us all that we have so much to be grateful for. 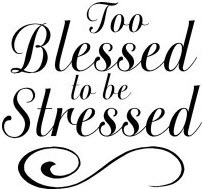 I am too blessed to be stressed and your story said it all. Thank you so much. It’s short and sweet and says it all.